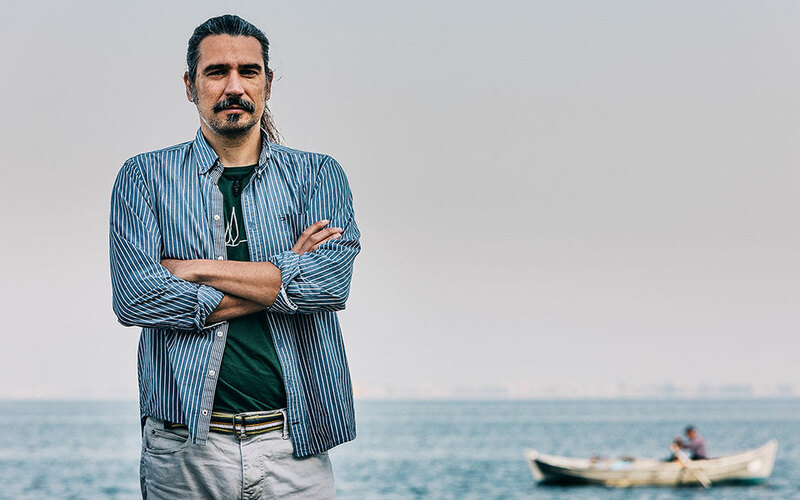 The inspiring individuals looking beyond Santorini's easy riches, seeking to preserve the environment, culture and history that make the island what it is. “We try to salvage everything we can in a place that changes from one day to the next. Books, documents, photographs, old furniture and dinner sets. They are not junk, they are the history of this place. I have set up a network of people – they notify me when there’s a chance that things of value are being thrown away, and I rush to see if there are items worth preserving. For the same reason, we keep in touch with prominent families on the island, as well as collectors. We have digitized 7,000 photographs dating from the 19th century up to the time of the earthquake, as well as many engravings. I settled on the island nine years ago. Back then, my brother, who is an architect, and I opened a family business, a small, suites-only hotel with a focus on art. Before that, I had spent almost 20 years abroad; my mother worked for the Ministry of Foreign Affairs. 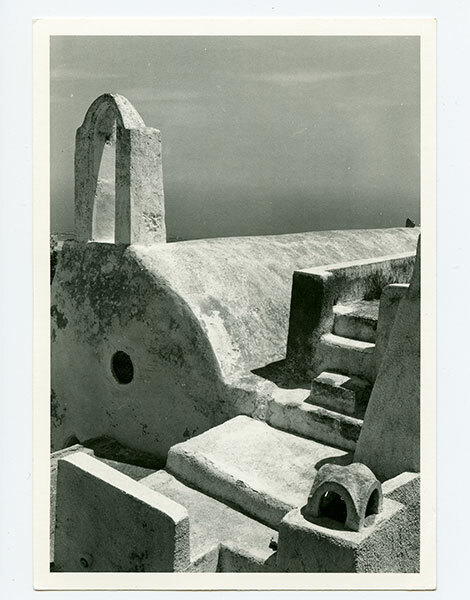 Bulgaria, London, three degrees in archaeology from UCL… I’d never lived permanently on Santorini, but I had always been interested in the island and spent summers here. From the age of 16, I worked at archaeological excavations all over Greece, including Akrotiri. Both my father, the president of the Estia of Pyrgos Cultural Association, and I work to preserve history and promote culture. Our association, which is self-funded, tries to motivate other businesses so that the village can enjoy cultural events all year long. Among other initiatives, we brought over volunteers from the UK to clean up the Venetian castle, along with architectural students from Italy to study it; for a number of years, we’ve been hosting groups from the National Technical University of Athens, who do research on the island’s architecture. 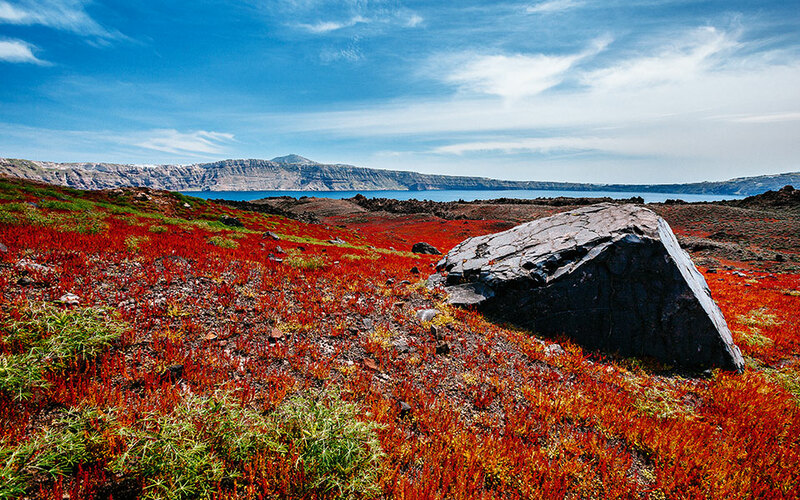 Because of its volcanic nature, Santorini has been changing constantly for over two million years. Sometimes this change is violent, as in the case of volcanic eruptions, but more often it is less perceptible; the caldera, for example, is expanding outward by approximately one centimeter each year. This is a natural process. More worrying is human intervention, which harms the island both geologically and architecturally. It’s hard for me to imagine what Santorini will be like in a decade. On the one hand, it’s difficult to believe that the island can continue to attract more and more tourists every year, but on the other hand, its “brand name” is so strong that I can’t see a future without major tourism, either. The encouraging thing is that there’s a critical mass of tourism professionals who care about their services and respect our visitors. It’s very gratifying to get such positive feedback regarding the island’s hospitality. This makes me very happy indeed. As for me, I’ve chosen to live on Santorini. All year round. And there is undeniably a certain quality of life here. The island is incredibly beautiful in the winter; many businesses remain open, and, of course, you don’t feel cut off, as you did 20-30 years ago. It would be a godsend if notable buildings that have been lying derelict since the 1956 earthquake could be restored. I also wish more tourists would visit some of the smaller museums, such as the Maritime Museum in Oia, or the Folklore Museum in Fira. Although they may look a little “tired” by 21st-century standards, and although they usually lack funds to upgrade, it’s imperative that they continue to exist. Inside them lie hidden treasures, parts of our history that must be preserved for future generations. 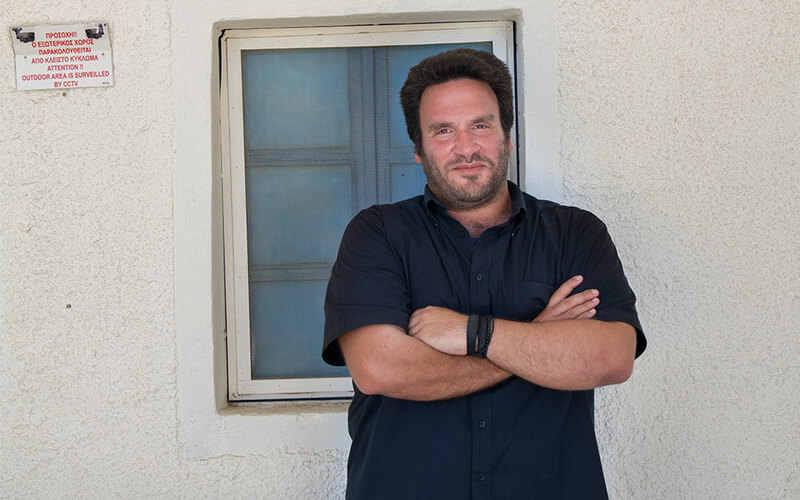 Lefteris Zorzos, who runs Voreina Gallery Suites in Pyrgos, is the founder and owner of Crossroad, and antique shop and art gallery, and a member of the Cultural Committee of the Municipality of Thera. He works every day for the preservation of the island’s historical documents. 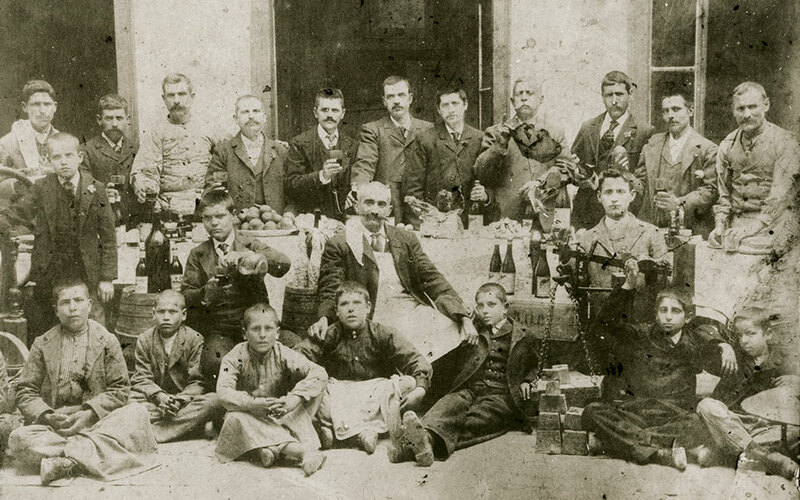 “In early 2018, after several years of efforts, the vinicultural traditions of Santorini were listed in the National Inventory of Intangible Cultural Heritage. This is an important development – the first step towards the formal recognition by UNESCO of our unique grape varieties, our particular cultivation practices, our wine festivals and viticultural traditions. The vineyards of Santorini can become bulwarks against the uncontrollable urban sprawl. Their legal protection needs to be finalized and cultivation permits must become more readily available. It would be difficult to triple the current 1,400 hectares so as to approximate the vineyard levels of the early 20th century, but present numbers can, at the least, be increased. There’s great demand for land. We are literally begging to be allowed to plant on the plain, and they won’t let us. Tourists may come and go but the land is always there. Most children here come from landowning families and they need to learn about the soil. Last year, we began seminars on viniculture for 507 fifth and sixth graders. This year we repeated the seminars for 617 fourth and fifth graders. All of our wineries participate in this initiative and we receive support from the association New Wines of Greece. We visit the vineyards, agronomists show the children how to prune the vines; they plant their own and mark them with their names. 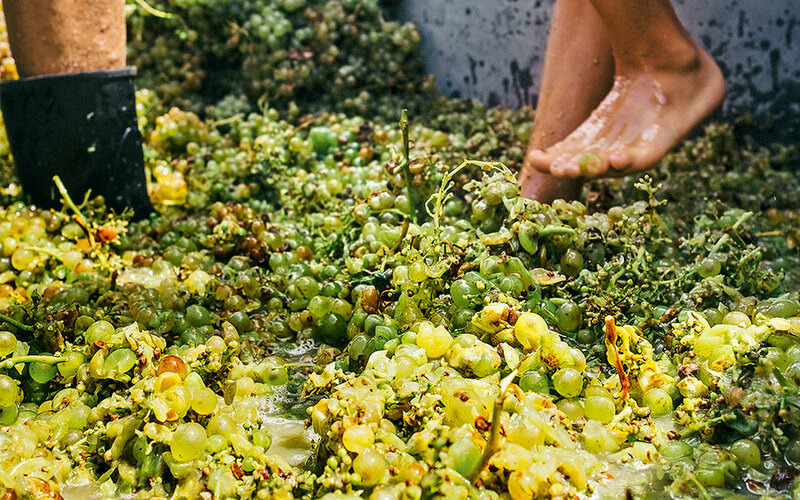 We explain “terroir” and talk about the other crops the island produces. And, finally, we hold blind tastings of different juices… There are no words to describe how much the kids enjoy it! There’s a lot to gain from this initiative. Anyone who has worked the land will go back to it. Anyone who learns how to appreciate good food and wine will continue to value these things throughout their life. And even if they end up owning hotels, they’ll still want to serve the best the island has to offer to their guests. Ioanna Vamvakouri is an oenologist, a member of the Municipal Council and president of the Cultural Committee of the Municipality of Thera. 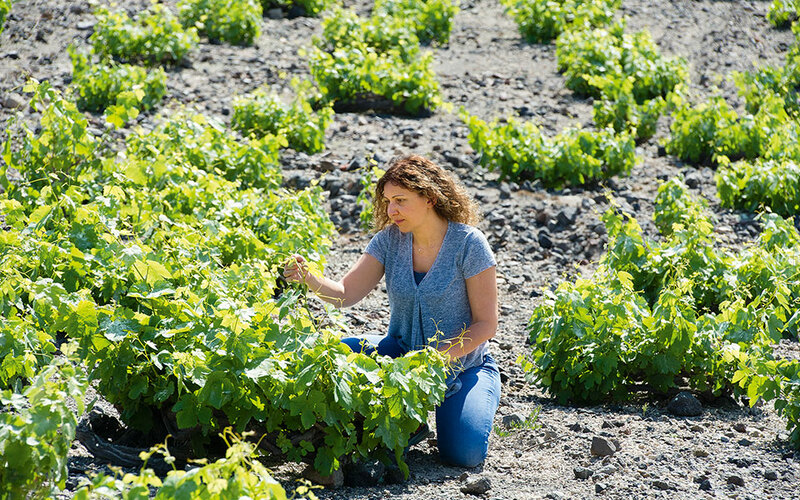 In collaboration with two legendary figures in the world of Greek wine, Vangelis Gerovassiliou and Vassilis Tsaktsarlis of the Biblia Chora Estate, she is currently creating a new winery on Therasia, the “Ktima Mikra Thera” Estate, with 100 acres of vines. “We began the task of demarcating a MPA (Marine Protected Area) off Santorini in 2010. We found an ally in Pierre-Yves Cousteau, who loves the island and its unique underwater seascape – this is where he earned his ‘stripes’ as a diver. It’s also where his father, Jacques-Yves Cousteau, filmed his documentary on the lost Atlantis. The municipal authority and all the other stakeholders signed off on it, the Hellenic Centre for Marine Research (HCMR) completed the relevant study, and last November we submitted a formal petition to the Greek government. Now we wait. The proposed area is not large, just 6 sq. km., but it is very significant in terms of biodiversity and it’s rich in pastures of posidonia seagrass, which provide natural shelter and breeding grounds for fish. Santorini is facing a significant overfishing threat, with several species unable to properly develop or reproduce; as a consequence, their populations cannot replenish themselves. At the same time, there are non-native herbivorous species, such as the Dusky Spinefoot and Marbled Spinefoot, which have no natural predators and are not considered commercially valuable by fishermen; as a result, they are multiplying uncontrollably and devastating the underwater vegetation at the expense of other species. What is particularly irksome is that in other countries these fish sell for more than €20 per kilo, but we simply discard them! In addition, bonito tuna, saddled, gilthead and black seabream are being overfished, while red and blunt-snouted mullet, dusky grouper, red porgy and smaller species such as sprat and anchovy are all at the upper limits of exploitation of their stock. 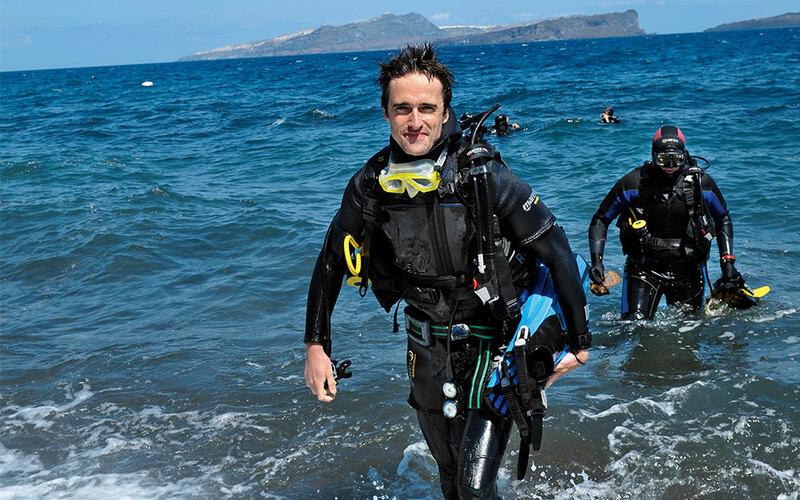 Pierre-Yves Cousteau, seen here during a 2014 visit to Santorini, actively supports the establishment of a Marine Protected Area. Legally protecting the fishing grounds is crucial for the replenishment of marine life, but it’s not enough. We must agree to fish more sustainable species using less intensive gear (for example, static nets with a larger “mouth,” as opposed to trawls) and only during designated time periods. We must minimize the bycatch that ends up being discarded. Santorini has a unique opportunity to set a good example for other tourist islands by adopting a sound protection model for its marine wealth. Vangelis Paravas is a biologist and photographer. He worked for many years for the Hellenic Society for the Protection of the Monk Seal. He is a member of iSea, a group created for the protection of marine ecosystems, and the president of the association Sea of Thera. “I’ve spent the greater part of my life abroad – New York, London, Venice. Yet I have strong childhood memories of my island, and memories are important to an artist. The energy of this island, its plasticity, keeps me alive creatively. This winter, for the first time in the eight years since I settled on Santorini, I didn’t go away for a single day. I wanted to find peace, to study. It was marvelous. Exactly as I love it. Santorini has become hardened, just like any other place where there is a lot of money to be made. Workers cannot find housing; they also face long working hours and tough conditions. This creates tension; everyone is a bundle of nerves. And every two years, you see a completely different island. I can’t understand why the locals simply won’t protect it, why they constantly wish to do more and more, undermining all they have created. But, of course, this is a global phenomenon. When there’s no planning, you can’t apprehend the future consequences of what you do today. There’s no interest in perspective in the notion of development. There’s a certain degree of concern, but as long as the island fills up and produces wealth, most of these concerns are allayed. 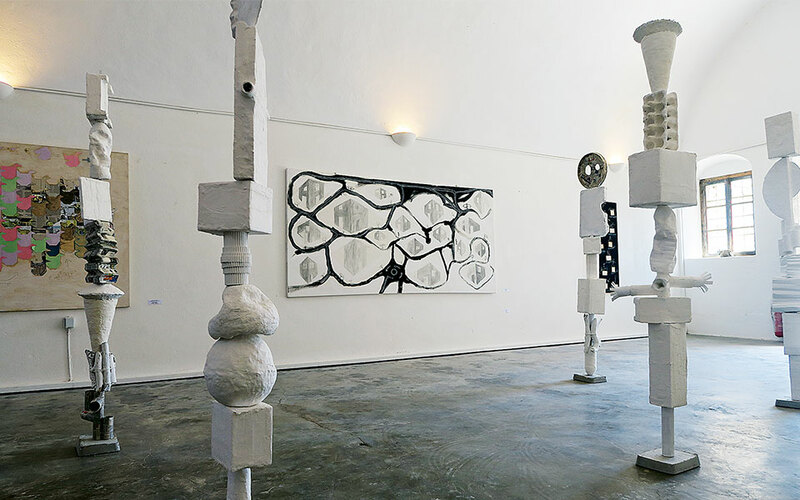 Katonas Asimis is a painter and architect whose works are displayed at the three A+K Galleries on Santorini, along with those of his father, the painter Christophoros Asimis, and his mother, the sculptor Eleni Kolaitou. “It’s terrible that young people on Santorini today don’t know their own history. 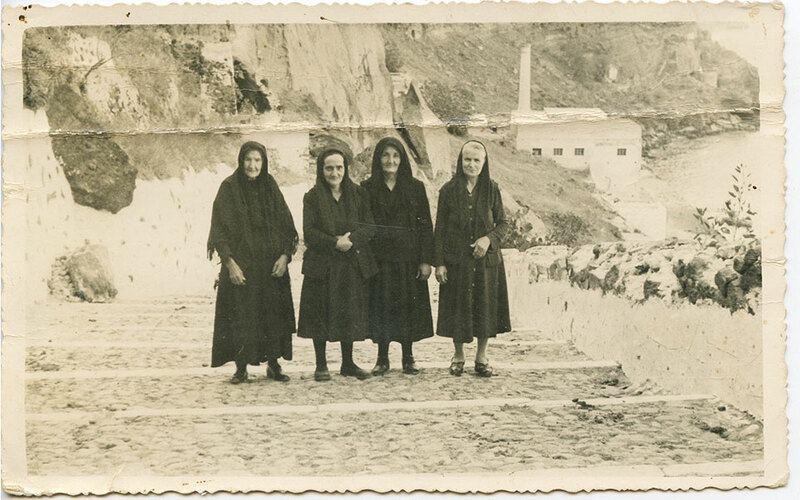 I wasn’t born on the island – my mother is from Santorini – yet all my memories are linked to this place: summer vacations, the grape harvest, church blessings with holy water. The priest of Megalochori ringing the bells each year to mark the anniversary of the great earthquake. The festival of Aghios Chariton at the end of September amidst the vineyards. I was fortunate to meet people who were pure in heart and mind, who worked hard to get by and had nothing to do with the image that the island projects today. It’s their stories that I’m trying to record and convey, especially for the sake of the locals. Because memory is our only constant at this moment in time, when everything is changing at an incredible speed. The older people in particular feel the need to speak. To be heard. 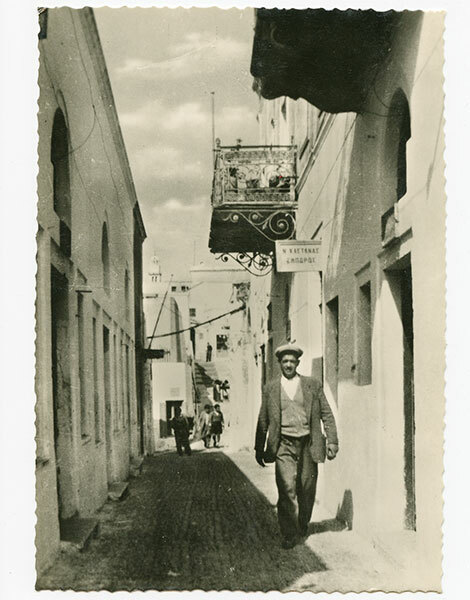 Iosif Perros maintains the history blog kallistorwntas.blogspot.gr (in Greek) and makes himself available to academics, researchers and tourists seeking information about the “other” Santorini (kallisorwntas@gmail.com). “Santorini is blessed. Though it has endured many difficulties, it always manages to turn the situation to its advantage. I don’t know if this is due to the energy of the place or to the people. I imagine it’s the former. You feel it the moment you arrive. 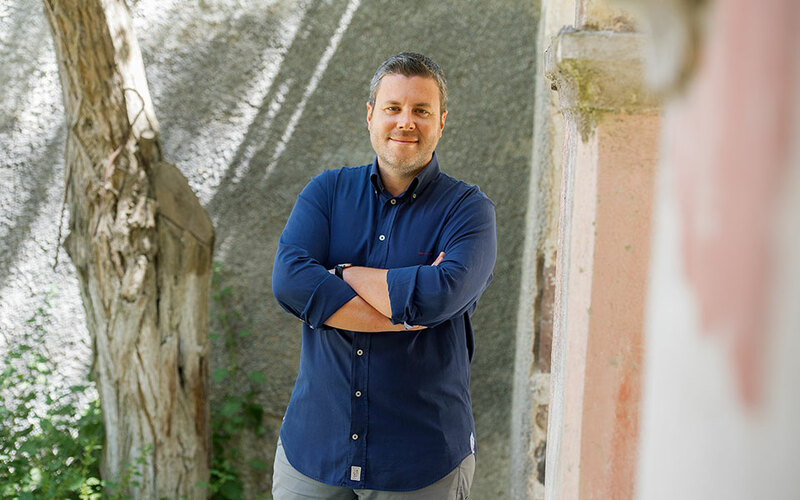 I was born in Crete, grew up in Athens and settled here 10 years ago to work as a graphic artist for a local tourism publication. At some point, I came across a map dating from 1840 explaining the geological formation of the island, and this prompted me to make the 6-minute animation short Santorini: Volcano History. 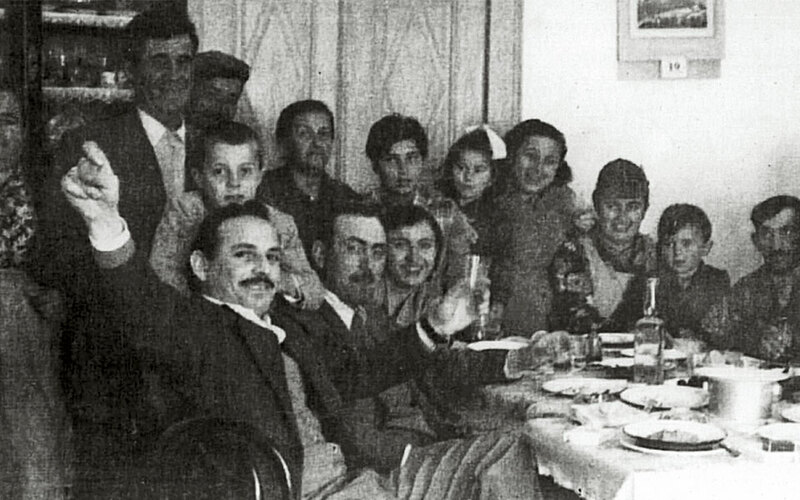 This was followed by a documentary I made with Lefteris Zorzos, which focused on the testimonies of people who had lived through the 1956 earthquake. 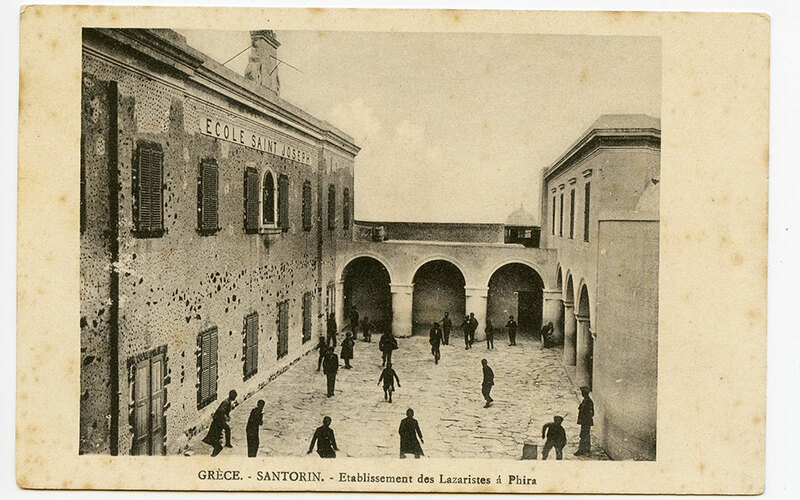 We wanted to record these narratives mainly for Santorini’s younger generations, who, odd as it may sound, don’t know anything about this chapter of their history. The older people wanted to speak and we did everything we could to make them feel comfortable: in many cases, we had granddaughters or nieces asking them the questions in front of the camera. The material we collected would have been enough for four hours of film. We edited it down to 40 minutes. It was shown for the first time in the main square of Pyrgos on the 60th anniversary of the earthquake. Everyone was there, young and old. It was very moving. 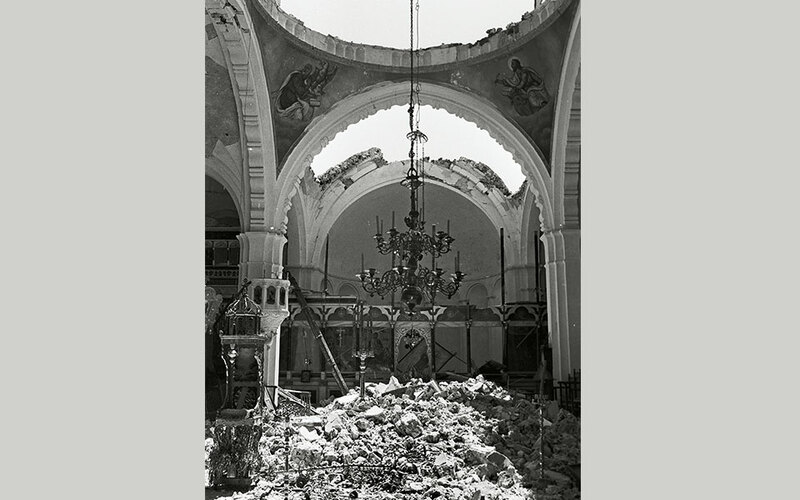 A severely damaged church in the aftermath of the 1956 Santorini earthquake. This photo is one in a well-known series taken by Walter Carone for the magazine Paris Match. 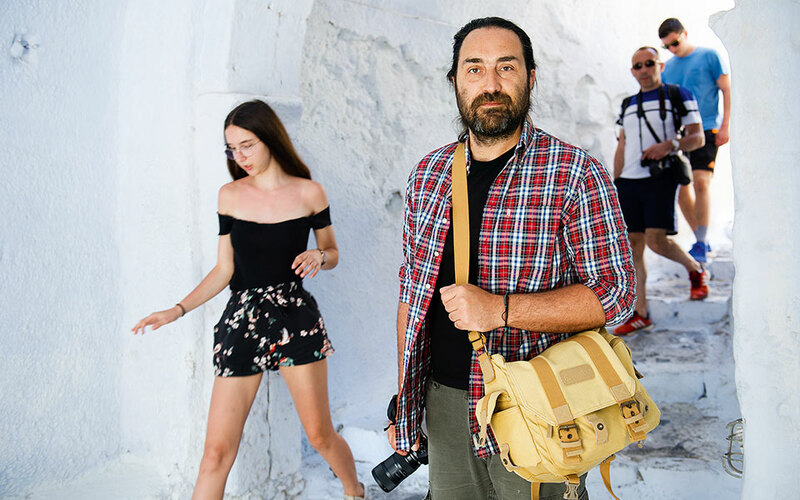 As long as my wife and I remain on Santorini, I will continue to record its history. I’ve worked on a documentary on the island’s vineyards, and we’ll be making another on local fairs and festivals, which are very important to local life. Unfortunately, very few young people I’ve met are interested in preserving these traditions. I honestly don’t know which way the island is headed. You see lights everywhere today. It’s like a big city. It wasn’t like this 10 years ago. Sure, there was a lot of tourism then, but it was still an ‘island.’ My wife and I are among the lucky ones, we haven’t had to move house for five years now. People come here from all over Greece to work and can’t find places to stay. Even doctors and teachers have to sleep four in a flat because they can’t find housing. Nikos Korakakis is a graphic artist, photographer and video artist. His “5:12 – A documentary about the 1956 Earthquake in Santorini” is available on YouTube and Vimeo with English subtitles.